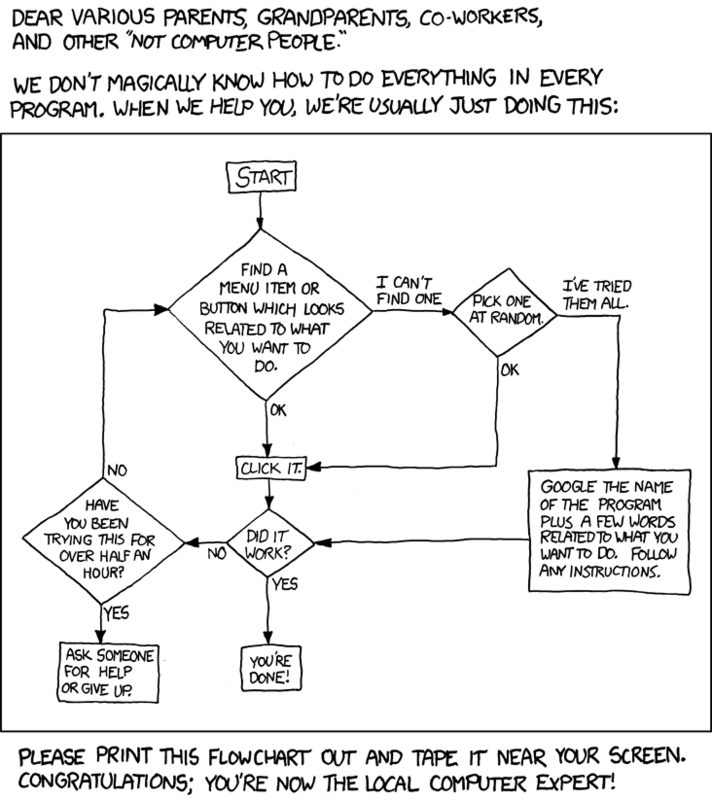 You can generally trust xkcd to feed you the straight scoop. This piece is more than usually helpful. Listen, people: this is how we geeks do it. Really. Try this at home.